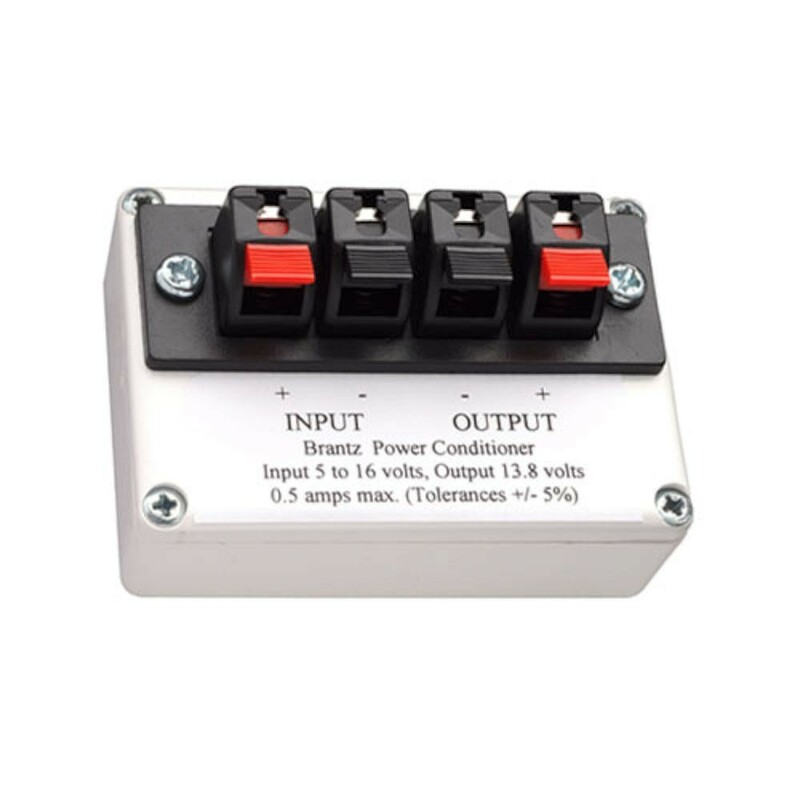 The Brantz Power Conditioner has been designed to provide a reliable voltage source for Brantz rally tripmeters and the RetroTrip models when these instruments are connected to a road vehicle which has a 6 volt power system or a 12 volt power system of the less reliable dynamo type. Connections must be made directly to the vehicleäó»s battery terminals and must be of the screw type or soldered terminals. An internal fuse is fitted which will disconnect the power for around 30 seconds and then re-connect if the unit is overloaded. Note that the Power Conditioner is intended to supply only ONE tripmeter! The unit will not compensate for loose connections or interference type faults. 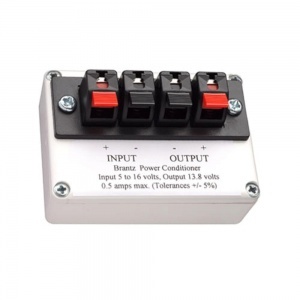 When the output is switched off, the unit continues to consume a few milliamps, so if the car is to remain unused for a period, the Power Conditioner should be wired via a good quality, well connected switch.